Lockheed Selected PMC-WMUX for F-16 16PP194 Interface. Alta's PMC-WMUX is the only advanced 1 or 2 channel (wings), Full Function interface on the market! 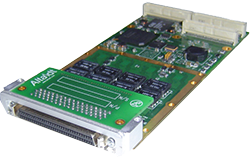 Alta Data Technologies’ PMC-WMUX interface module (PCI Mezzanine Card for Carriers and Single Board Computers) is a single or dual channel (A-B Redundant = 4 Busses per Channel) WMUX card supported by the latest software technologies. This PMC cards are based on the industry’s most advanced 32-bit WMUX FPGA protocol engine, AltaCore™, and by a feature-rich application programming interface, AltaAPI™, which is a multi-layer, highly portable ANSI C architecture. This hardware and software package provides increased system performance and reduces integration time. AltaCore-WMUX is guaranteed 16PP194 compliant and is manufactured to the highest IPC-Level 3 standards and ISO 9001:2008 processes. The card is capable of simultaneous CIU, 16x RIU and Bus Monitor (RIU Map and Sequential Monitor). Alta is committed to a risk free integration and will be glad to help with any level of your system development. Here you can find documentation pertaining to the PMC-WMUX. For additional documentation and software, please visit our secure download area. PMC-WMUX-1F PMC Interface with One Channel (4 Busses) of WMUX with Full Function (CIU/mRIU & Mon) Capability. Included: AltaAPI Software. PMC-WMUX-2F PMC Interface with Two Channels (8 Busses) of WMUX with Full Function (CIU/mRIU & Mon) Capability. Included: AltaAPISoftware.